Making Smoked Baby Back Ribs Is a Labor of Love! 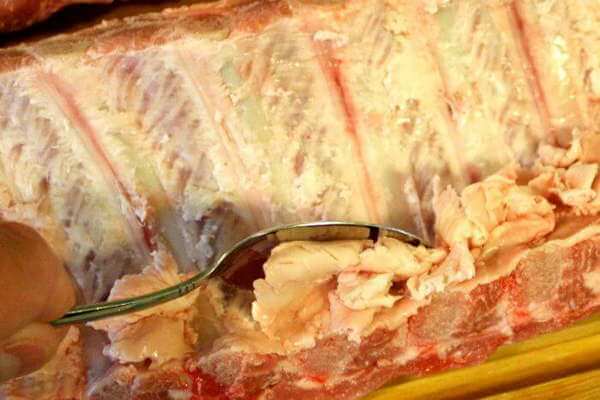 Also called "back ribs", they come from the upper part of the pork rib cage, next to the loin along the back. Hence, back ribs. It's common in the meat industry to call them "baby" only if the slab weighs under 1¾ pounds. The membrane is a whitish-looking and shiny covering on the bone side of the slab that is tougher than heck. It also prevents seasonings and smoke flavor from reaching the meat. If you want tender and flavorful smoked baby back ribs, get rid of the membrane. Take a butter knife or a screwdriver and slip it under the membrane at one end of the slab. Pry the membrane up so you get a flap going. 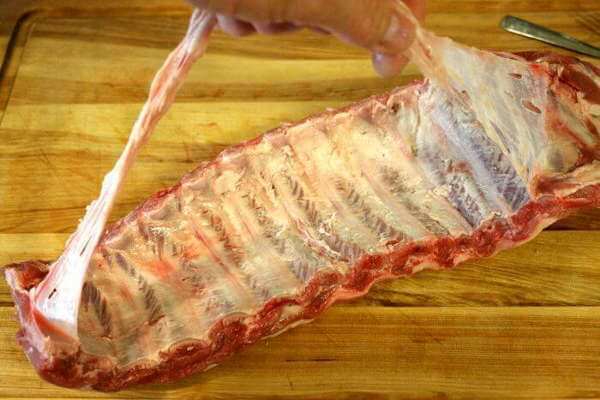 Using a paper towel, grip the flap and slowly peel the membrane off of the ribs. If it tears, pry up another flap and peel some more. One of my meat smoking cronies uses a pair of fish skinning pliers to do the job. Works great! The only thing left is to trim off any excess fat and loose meat, then wipe it dry if it needs it. Don't get too carried away trimming the fat…the small pieces will melt away as the baby back ribs smoke. Now it's time to season the ribs. 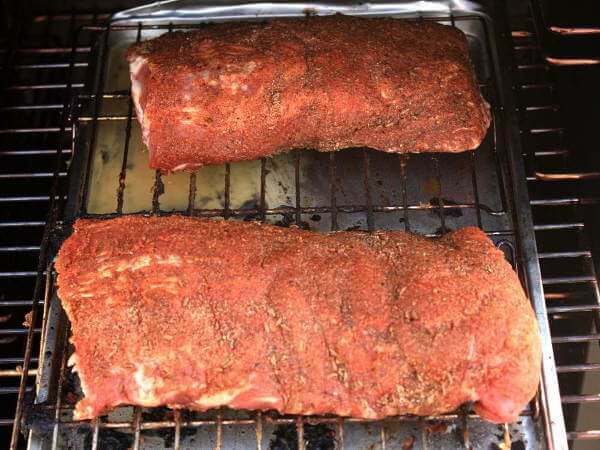 I marinate the ribs first, then give them a light coating of dry rub. 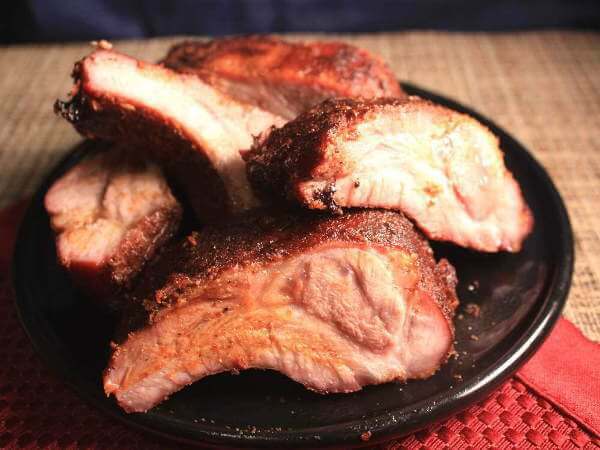 Smoked Baby Back Ribs Are Delicious! Marinate the baby back ribs for at least two hours. Overnight is better. Turn the ribs in the marinade so both sides get it good. Remove the ribs from the marinade and let them drain for five minutes or so. Now it's time for some spice. Mix the seasonings well and lightly coat the slab on both sides. Let it rest at room temp while you get the smoker started up. When the smoker reaches 220 degrees, add a little hickory or oak, and throw in the ribs. Smoke the ribs at 220 for 3 hours, then turn them over. Increase the smoker temperature up to 250 and smoke for another hour. Check for doneness. The meat should be just tender enough to tear when you pull two bones apart. Check every 45 minutes until done. 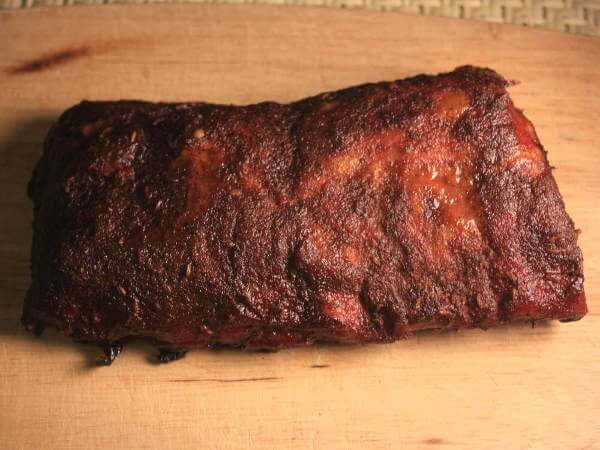 Your smoked baby back ribs should be fairly dry on the outside, and tender and moist inside. Barbecue sauce is optional. 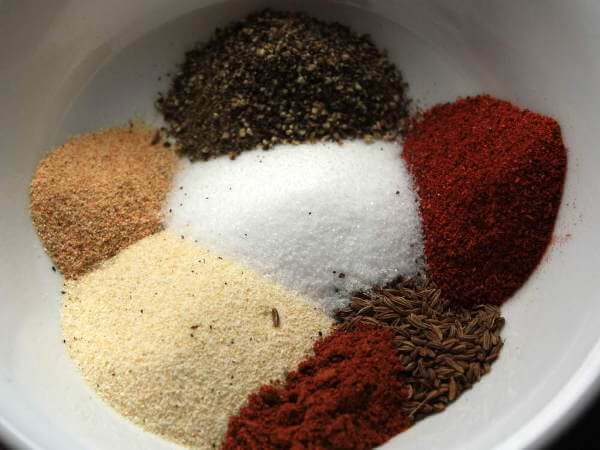 The seasonings from the marinade and the dry rib rub flavor this recipe nicely.